Al Tamimi & Company's Insurance department is at the heart of the expanding industry in the UAE. The department provides a full range of legal services to the insurance industry, which includes structuring options available to allow companies to operate in the UAE market or the Dubai International Financial Centre (“DIFC”), joint venture claims and compliance advice. We pride ourselves on the claims handling capability of the firm and we currently assist a number of insurers, reinsurers, brokers and underwriters with regard to claims and advice on all aspects of the Middle Eastern insurance industry. We act for some of the leading regional and international institutions in the industry, including international banks, insurers, reinsurers, brokers and intermediaries. Whether as court advocates or legal consultants, our specialist lawyers have a wealth of exposure in handling the most complex disputes as they regularly arise. We also provide alternative dispute resolution solutions and aggressive litigation in the courts when necessary. 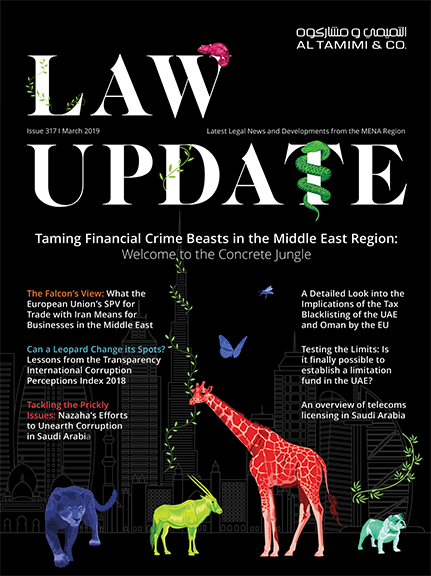 Within and outside of the UAE and the middle east, our lawyers have been involved in numerous mediated, arbitrated and litigated disputes on behalf of (re)insurers/underwriters and brokers, including some of the largest insurers and reinsurers in the world. The firm has in-depth knowledge and extensive local and worldwide contacts in the insurance industry since many of our lawyers have served as in-house counsel for multinational insurance companies abroad. The firm handles the requirements of insurance companies, brokers, underwriters and intermediaries. We are regularly called upon to advise clients upon policies covering every conceivable kind of risk including life, health, directors and officers, professional liability, corporate liability, financial institutions, electronic and computer crime, banker’s blanket bond, public liability, product liability, property, construction risks and employment. We have assisted several clients set up Insurance companies in the UAE, as a public Shareholding Company, Foreign Branch and in the DIFC. We have obtained for clients, two of the most recent licenses granted by the UAE Insurance Authority and are currently involved in numerous applications in the DIFC. We have also been at the forefront of the use of joint venture relationships and reinsurance to assist foreign insurers in obtaining new business in the region. No matter what the insurance issue, our Insurance team are sure to be able to provide the guidance and assistance needed.